POLITICAL TIDBITS: President Duterte should have been warned not to mess with a woman with tousled mop-like hair, hook nose, wide horn-rimmed glasses and the inflexible zeal of a missionary---who’s Agnes Callamard. Look what messing with her got Digong: 45 nations, all members of UN's Human Rights Council, backed rights probe in PH by this iron lady. Only China proved to be Digong's reliable friend. President Duterte should have been warned not to mess with a woman with tousled mop-like hair, hook nose, wide horn-rimmed glasses and the inflexible zeal of a missionary---who’s Agnes Callamard. Look what messing with her got Digong: 45 nations, all members of UN's Human Rights Council, backed rights probe in PH by this iron lady. Only China proved to be Digong's reliable friend. President Duterte is well-advised to look out for feisty battle-ax rights women with mop hairdo and horn rimmed glasses. President Duterte should have been warned never to ignore women like Agnes Callamard, the UN Special Rapporteur on Extra-Judicial Killings of the UN Special Committee on Human Rights---walking battle axes with tousled hair like it hasn’t been brushed in a good while, black horn-rimmed glasses and a grim determination on her righteous face. Mr. Duterte should have been forewarned that such women are dangerous and should be handled with care. Palace spokesperson Ernesto Abella tore his hair in upset over Callamard’s “unauthorized” presence here, but it would have been more sensible if the Palace had just ignored her brief visit. Because it made a big to-do about it, what happened since then was pure disaster for the Duterte administration: at the recent 16th session of the Universal Periodic Review (UPR) in Geneva, 45 nations of the Human Rights Council of the UN supported the call for the Philippines to grant UNCONDITIONAL ACCESS to Callamard to probe deaths suspected to be EJKs, due to the Duterte administration’s bloody war against drugs. ONLY CHINA, MR. DUTERTE’S ALLY AND FRIEND, OBJECTED TO THIS COLLECTIVE MOVE TO BACK UP CALLAMARD. Quite a fiery international debut for the Philippine President. The UPR is termed “a state-driven voluntary process that involves all UN Member States under the auspices of the Human Rights Council (HRC), which aims to improve the human rights situation on the ground of each of the 193 Member States.” Under the auspices of the UPR, the human rights situation in all the 193 UN Member States is reviewed EVERY FIVE YEARS. In addition to the move of 45 countries to back up UN Special Rapporteur Callamard’s express intention to probe the rights situation in the Duterte administration, according to the Human Rights Watch (HRW) more than 30 countries have also expressed grave concern over the killings here in connection with the drug war. These critic-countries include the most advanced in the world, such as the US, the UK, France, Germany, Japan and many others. There’s no question that the Philippines is becoming the pariah of the international community when it comes to human rights and a lot of it stems from the Duterte administration’s refusal to play ball like other civilized members of the UN do. Abella tried to do damage control by saying that the international concern over the Philippine government’s war vs. drugs is “misinformed,” but this defense sounds hollow as the question arises: who has caused the “misinformation,” in the first place? Why has the Palace resisted any and all inquiries about its anti-drug war? 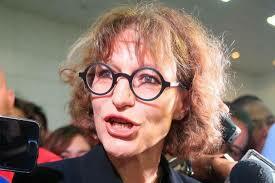 Take a look at the impositions slapped by the Palace on the feisty Agnes Callamard. To be allowed to come and investigate the situation here, the Duterte administration slapped three conditions on her as reported by media: that she engages in a public debate with Mr. Duterte, that he be allowed to ask Ms. Callamard questions, and that she takes an oath on the veracity of her findings. It’s easy to see that she could never win in that public debate with Mr. Duterte before an audience of his own choosing. But really, why couldn't there have been just a quiet earnest conversation over coffee between the President and the mop-haired rights battle-ax for starters? I don't see why not: Mr. Duterte could have charmed her effortlessly. But now, the Palace is just too scared of the battle-ax. A pity. The next session of the UPR will be in 2021. Would PH have recovered ground by then? A lot would depend on Mr. Duterte: can he play ball with Callamard and what she represents, like a verified member of the UN body would, or will he act like one of those African potentates who have failed to mature in this aspect. To be sure, the drug war has to be won here in our country, but it cannot be at the expense of creating bigger problems, such as killing people as though they were worthless flies. Those words were vintage SONA 2016. But the query uppermost in the minds of many Filipinos these days is, what human dignity is being enjoyed by the nameless, faceless dead found sprawled on pavements these days---yet mere statistic in the ugly war against drugs?